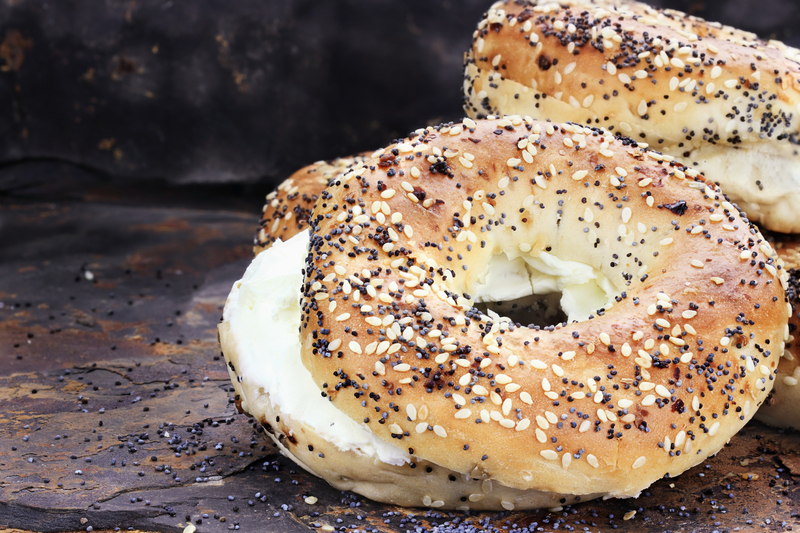 If you are a true bagel lover, then you know no two types of bagels taste alike. There are always some fine nuances to the taste. Well the same can be said for bagel franchises. Each one has its distinct advantages and disadvantages. The financial investment for each franchise is of course one of the most important factors. Manhattan Bagel is an inherently New York bagel franchise, whether the shop is in New York City or Boise, Idaho. They are known for the varied flavor sensations and their robust breakfast and lunch menu. They are looking for prospective franchisees who are interested in both single and multi-unit ownership. They offer all their franchisees training at Bagel University which is a fully equipped training store and classroom facility as well as onsite training at your store. Available territories include the Greater Philadelphia area, New Jersey, New York and Delaware. The minimal initial investment required to get started with a Manhattan Bagel shop is $200,000. Einstein Bros Bagels is known for some much more than just their bagels. They have developed a full menu including soups, salads, hearty sandwiches and sweet desserts. If you like the challenge of an expanded menu then Einstein Bros. might be the right fit for you. Einstein Bros. Bagels can be found in 27 states nationwide and they are constantly expanding. The initial franchise fee is $35,000 for a single restaurant. The startup costs range from $536,300 to $828,850. They offer their franchisees a detailed control and inventory method and an easy to run operation. Minimal space is needed for these shops. Shmagel’s Bagels, which currently has two locations in Ocean City, MD. They are known for their fun bagel creations baked daily. They have plenty of franchising opportunities and will work closely with you to make sure your locations are a success. The initial investment expected of you is on the lower side of their competition, but they still provide you with all the right ingredients to help you get started. And because your initial investment is more affordable, then you might be able to own multiple locations. If you think you want to eventually be in control of your own territory, then this is definite advantage. Shmagel’s Bakery has been growing in leaps and bounds. Every year, more and more Americans are choosing bagels as not only their top breakfast food, but their favorite food all day long. Now is the perfect time to come join their family. With their reasonable fees and strong support structure, it is winning program. Set aside a certain amount from each paycheck. Make sticking to a budget easier for yourself, by having a certain amount of money from each paycheck put right into your savings account. We all know how easy it is to let coffees and lunches and dinners out fritter away our money before we have a chance to save anything. This way there are no excuses. Get your coupon on. Being a spaver can really help in your saving efforts. If the thought of tightening your budget strings has you worried, you can get a lot more bang for your buck by using coupons and looking for great deals on things you really need and even for the things you want. Check out coupon websites as well as the websites of your favorite stores to see what deals are available. Review your financial portfolio. If you have a decent financial portfolio already, take a close look at all your current investments and see if there are any ways to make more money. If you don’t already have a financial advisor guiding you, make sure you find one. Maximizing your assets is paramount. For more information about Shmagel’s Bagels and their franchise program, give them a call or visit their website. Whichever bagel franchise you go with make sure you weigh all the pros and cons including bagel franchise cost carefully and make the best decision for you. Good Luck!